Perhaps you would prefer an almost-invisible orthodontic option to correct the alignment of your teeth. If so, you might find ceramic braces the correction of choice. 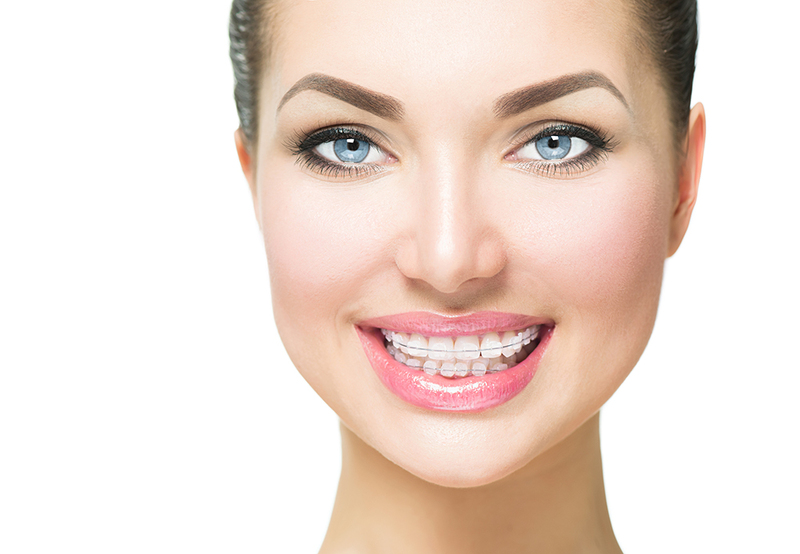 They are as strong as the more traditional braces made of metallic materials, and yet resist staining. What Sets Ceramic Braces Apart? Created from composite materials to blend in with the color of your teeth, they are very much less discernible than the metal braces once so common. With ceramic braces, because their structure is “tooth-colored” and the miniature rubber bands that hold the arch wires to the teeth are also tooth-colored or even colorless, once the orthodontics are in place, they are much less noticeable. Additionally, when your teeth and jaws are poorly aligned, the extra effort required to chew your food may strain your muscles and tendons, causing long-term pain. With such substantial benefits, it is easy (and worthwhile!) to learn and practice effective routine orthodontic cleaning at your home—and it's actually similar to the routine you would use without your orthodontics. Keeping your eye on your goals of straight teeth, pain-free chewing, and---best of all---the strong and all-but-invisible orthodontics that will help you reach them, you may find that ceramic braces are your best choice. For more information and a thorough orthodontic evaluation, call NYC Smile Design at 212-452-3344 or contact us online today.